What Is the Online Body Beautiful Transformation Challenge? This is complete 8 week online power weight loss training challenge for women. Body Beautiful Transformation Challenge is designed to increase the volume of basal metabolism, increase lean muscle mass and BURN FAT. Intense training with shorter breaks are precisely designed to help lose weight and reshape your body. Body Beautiful Transformation Challenge is followed by complete dietitian approved nutrition plan which effects were proofed over years by the award winning weight loss coaches. How Does Online Transformation Challenge Work? How: Your Transformation Challenge Program will be delivered to you online via the Body Beautiful Portal and Body Beautiful mobile app. Challengers will submit their measurements and photos at the beginning and the end of the Challenge. You can choose to do workouts from the comforts of your home (without equipment), or workouts at the gym (standard gym equipment) – workouts are scheduled 4 times a week. You also undergo our regular diet plan or vegetarian diet plan. 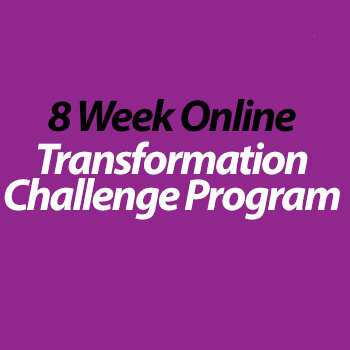 What's Included in the Online Transformation Challenge? Over the years our coaches have perfected the Transformation Challenge to provide you the best workouts to create a slim, lean figure, and a nutrition plan to support your weight loss training. These intense, but fun exercises are now available to you via Body Beautiful mobile app, with exercise instructional videos, statistics and progress trackers – all the tools you need for success! When you sign up you will be given a choice to pick “at home” workouts (no equipment) or gym workouts (standard gym equipment). The transformation exercises are added to your calendar to train 4 times a week. If you want, you can choose to do more workouts from our library of 50+ pre made programs! With your Transformation Challenge you will get a special two-phase nutrition plan that is a simple, yet extremely effective weight loss tool that has helped some of our clients drop over 30 pounds in just 8 weeks! You can between regular diet plan, or vegetarian diet plan. Our Body Beautiful portal gives you access to a private Transformation Challenge Group and our Private Facebook group where participants share challenge success tips, recipes and support each on their journey. Here you can also ask your coach any questions. We believe the key to success is setting SMART goals: Specific, Measurable, Attainable, Realistic and Timely. We provide all of our challengers with a Goal Setting chart which we review both at the start and at the end of the challenge. We are happy to say that in the past most of our girls have surpassed their goals! You will be required to submit your measurements, weight and pictures on a weekly basis. You will be assigned a coach that will monitor your progress and will be in touch if you hit the plateau, to encourage, provide advice and help you get through it! Copies of the Body Beautiful Supplements Guide & 101 Fat Burning Recipes eBooks that will accompany your diet are included (value of $29.99). Feel like you need a program that is specifically catered to you? We got you covered, you can easily upgrade to a custom diet & workout program for just $100! All custom programs are delivered for review with your coach on April 5th, and begin April 9th. and of course everyone gets a HOT BODY just before the holidays!